A 100 Miler #1 for Jim D.
​”From the sidelines I’ve watched this event the last year or so. Thanks for hosting! I needed a motivator to push the miles a bit more than just a beer ride. But hey, let’s not push it. 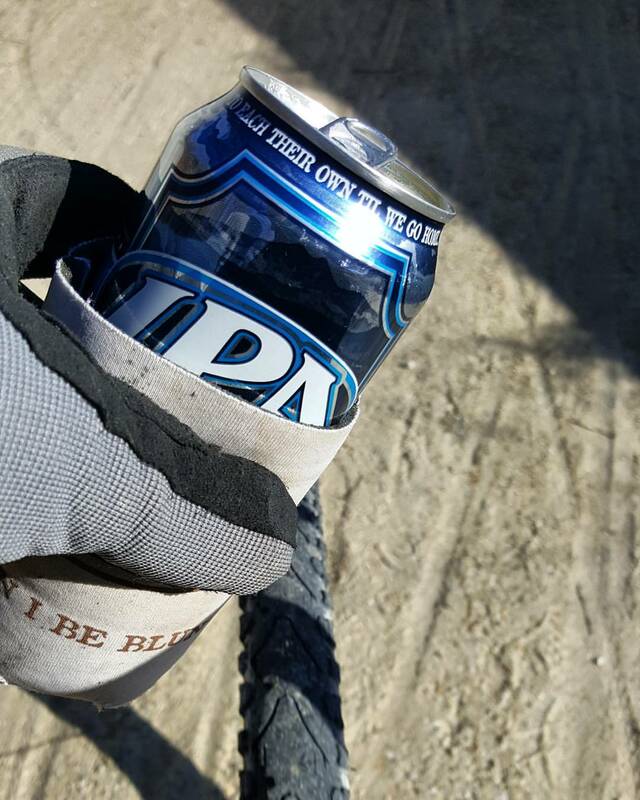 We all need a beer ride! 10+ hours of January Saddle Time in a day!!!!! Wow gotta love that start! 10 miles of mixed Pavement and Cart Path, a dozen or so miles around Busch Wildlife area, and way more Katy Trail than a fella should ride in a day. I set a course from home using a few trails to cut out pavement on the way to hit the Katy Trail. Lost Valley to Lost Creek and back was the flat course option. Wind and slow rolling trail. A bit soft at times made for a slow go. Coffee in Dutzow at the diner…Not so friendly to cyclists today. Weird they didn’t even want to look up at us as we ordered coffee. Continuing on Westward we made it to Lost Creek…I was out of water so the emergency IPA was retrieved from the tanglebag and dehydration was foiled. A tailwind finally appeared and set us back Eastward and downill at last. Augusta Brew Haus was open and we scored a couple pints of IPA. Mid-winter don’t expect much the way of food at the summer stops… out of pretty much everything except beer. We managed one more stop in Defiance for a PBR with all the Harley crowd. Only 3 miles to get off the flat Katy and back to a few hills for standing. 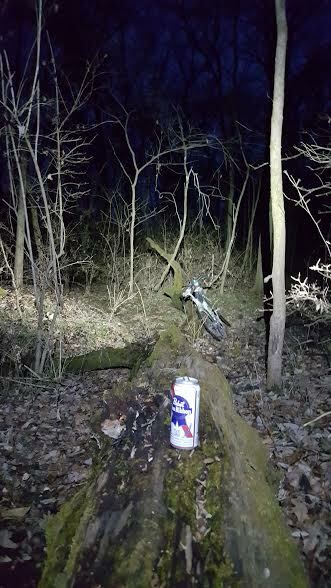 One last PBR at the #sociallog sent us on our merry way. With batteries low and nothing more than a Huga bar, 2 GU’s, and few pretzels, it was time for real food. IMO”s salad and pizza filled the void as my goto Sugarfire had a line out the door. Elevation Gain 908 – The Katy ain’t exactly flat!